New York circa 1905. 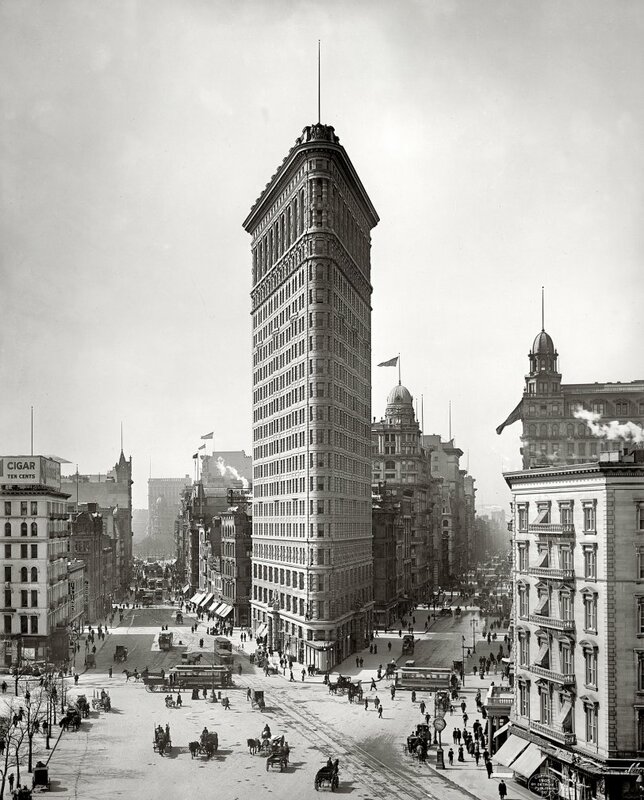 "Flatiron Building, Broadway and Fifth Avenue." Another view of everyone's favorite proto-skyscraper, at anchor in Manhattan. 8x10 inch dry plate glass negative, Detroit Publishing Company. View full size. Submitted by Anonymous Tipster on Wed, 04/21/2010 - 7:36pm. 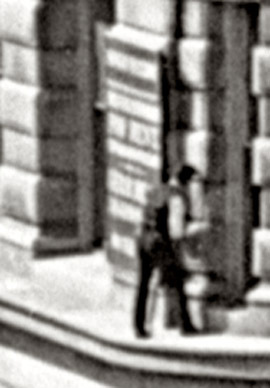 The flag at the top right reads: C.G. Gunther. He was a furrier and at one time mayor of New York City. Submitted by rubysshoes on Wed, 04/07/2010 - 5:32pm. What about the leg coming out the window two floors up from the sign guy? What in the world is HE about to do? Submitted by Anonymous Tipster on Wed, 04/07/2010 - 2:11pm. On the edge is right! Submitted by Betty_Draper on Wed, 04/07/2010 - 12:11pm. 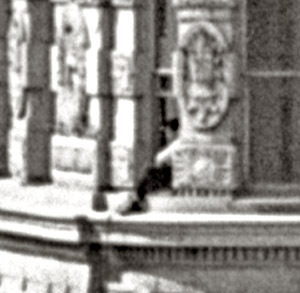 Did you notice the man standing on the 2nd floor ledge, right toward the front of the building? I can't figure out what he's doing - any speculation? Submitted by Thud36 on Wed, 04/07/2010 - 5:38am. This is a great shot but I'm wondering whats powering all the streetcars in view. Was it an electrified center rail? Couldn't be a cable the way all the tracks are crossing. When did the overhead "trolley" era begin?